EAST LANSING, Mich. — Mitch Lewandowski had been so close. He had multiple assists but not one goal. As he came in on goal following an offensive zone faceoff with under 90 seconds remaining in a tie game, he sent a hard shot towards the net. Slowly he watched it sail under the crossbar and into the net. Then he blacked out with pure joy. 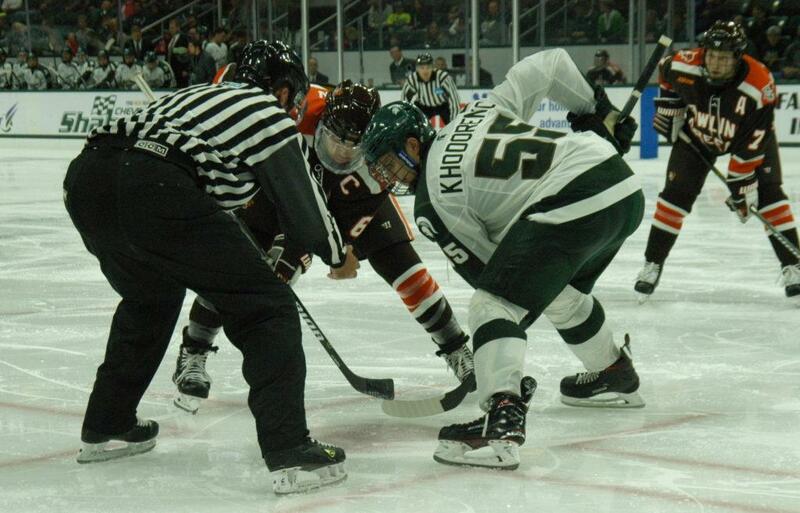 Thanks to Lewandowski’s heroics, the Spartans defeated the Western Michigan Broncos 6-4 at Munn Arena on Friday night. “It was a really special moment, I kinda blacked out a little bit, I don’t really remember. I’m gonna have to watch it again,” Lewandowski said. The Spartans got off to a hot start scoring on their first two shots on goal. Patrick Khodorenko netted his second goal of the season off a one-timer in front 33 seconds into the game. Thirty-four seconds later Sam Saliba also scored on a two-on-one rush that made it 2-0 Spartans 1:07 into the game. Western Michigan looked flat-footed but regained their composure on the power play. 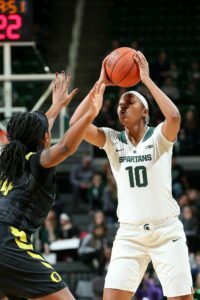 As Michigan State failed to convert on a short-handed three-on-one, the Broncos went down the ice on a two-on-one and cut the Spartan lead to 2-1. MSU would get a power play of their own in the later stages of the period and capitalized off a goalmouth scramble courtesy of Cody Milan who netted his first goal and fourth point of the season to give the Spartans a 3-1 lead going into the second period. The middle period also saw a fast start but this time it was Western Michigan who was the beneficiary. Bad Spartan defensive breakdowns led to two quick Bronco goals 15 seconds apart to tie the game back up at three. Despite the sudden change in momentum, the Spartans never wavered on the bench according to coach Danton Cole. From then on the game developed into a kind of stalemate, with both sides getting good scoring chances, although the Spartans had some quality opportunities late in the period. Western Michigan took their first lead of the game 16 seconds into the third period when NCAA-leading scorer Colt Conrad took advantage of a weak MSU breakout and rifled a shot past sophomore goalie John Lethemon. For a while it seemed like Western Michigan had the game in hand, but the Spartans rallied. “I like to think that duty can’t exist without faith and they have to have that faith in what they’re doing,” said Cole. After the ten minute mark of the third period, Michigan State started to take control of the period and lay siege to Western Michigan. Chance after chance followed as chants of “go green, go white” echoed throughout Munn. Just before the seven-minute mark of the third, sophomore defenseman Anthony Scarsella made a good play to keep the puck in the zone. With a man in his face, he sent a puck to the net. Scarsella’s shot went bar-down over the glove of the Bronco netminder Ben Blacker and tied the game at 4-4. Though the shot was highlight-reel worthy, Scarsella’s first ever collegiate goal wasn’t actually intentional. Scarsella’s inadvertent goal really cranked up the volume at Munn as fans were treated to an absolute goal fest that ended with some late game heroics from Michigan State. 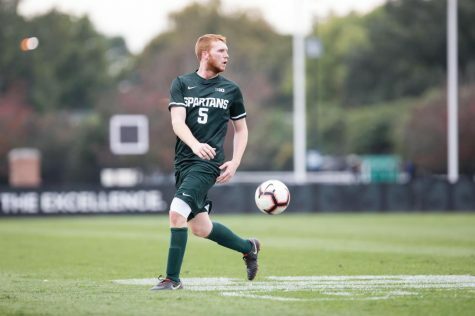 Lewandowski’s goal came with 1:26 left in regulation time, and marked the second straight game where the Spartans netted the game winning goal with under two minutes to play. Lewandowski finished the game with four points (one goal, three assists) and is the first Spartan to net four points since Nov. 10, 2012 when Matt Berry had a hat trick and an assist against Michigan in a 7-2 win. As Saliba netted the empty net goal on the power play which went two-for-five on Friday, fans rejoiced at another Spartan victory. 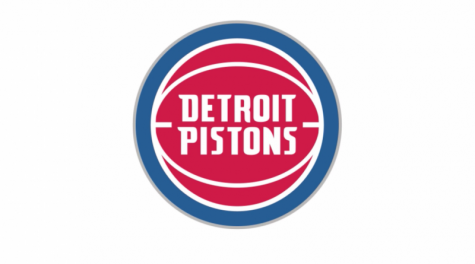 Not only had they been treated to an exciting game for back-to-back weekends, but they entered the balmy Friday night having watched a far different team than they did last season. The Spartans also netted six goals in a game for the first time since November of 2015 when they beat the University of New Hampshire 7-4 at Munn. Needless to say Michigan State is playing better and the immediate impact of the new coaching staff is evident. Instead of taking credit for their early accomplishments, Cole put all the praise on his young team for picking up the coach’s teaching so quickly. The Spartans are now undefeated at home this year, a far cry from last season when they only won two games at home all year. The Spartans (2-1-0) will travel to Kalamazoo on Saturday night to finish up their series against Western Michigan (2-3-1).